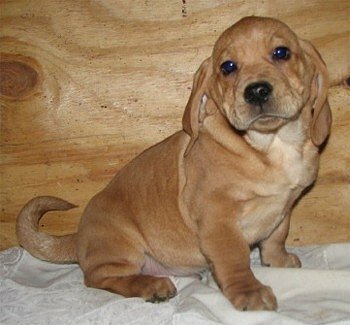 A mix between two breeds of dogs is called a hybrid and some also call it a designer breed, which is also the case of the Plica dogs, having the Basset Hound as one parent and the Ori-Pei as the other. 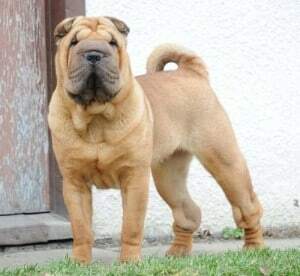 In this particular case, the breed cross goes even further, the Ori-Pei being a hybrid dog itself, the result of the crossing of the Pug and the Chinese Shar-Pei breeds. These dogs are all very suitable for families with children and even other pets, being friendly in nature and getting along well with anyone. Even more, they are also very easy to groom, as they are small and having short coats. Maybe the most important thing, though, is keeping their faces clean all the time, as failing to do so may lead to some skin issues. The coats can come in different colors, but the most usual ones are black, red, gray, white, tan, coming sometimes in combinations. An almost constant shedder, the Plica dog requires brushing and bathing only when necessary, but it is recommended to use a bristle brush. Loyal to their owner and gentle and friendly to children and other pets in the house, these sweet dogs are wonderful as indoor companions. However, they do require some attention when it comes to temper down their leader instincts, as they naturally try to take over packs. With proper attention, this can be corrected before it becomes a developed side of their behavior. Occasional baths and frequent brushing, nail trimming and ear cleaning are enough to ensure a good hygiene for the Plicas. It’s important to pay attention to cleaning the areas under their ears. With regards to food, they shouldn’t be left to eat as much as they can, as they will certainly do that, so only make a couple of small meals available to them on a daily basis. Like in the case of all animals, they should be taken to veterinarians for periodic health checks. Intelligent dogs, the Plica dogs are rather easy to train. They also are good merchants, trading treats for tricks. They will also adapt well for indoor living, but this must be done carefully and with the owners manifesting themselves as leaders, in order not to allow these dogs to impose themselves as pack leaders. These dogs require daily exercises, but up to a moderate level, so a good daily walk should do the trick. This will help burning the extra energy. This parent breed of the Plicas, the Bassets, are renowned for their ability to beg for treats or for mercy when they did something wrong. Although hound dogs, they also enjoy being lazy, but won’t say ‘no’ to long walks either if need be. 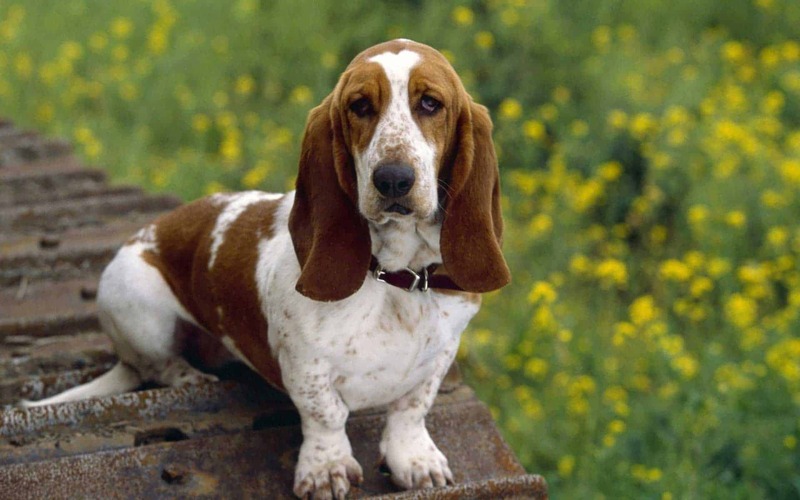 Despite the touching expression of the Basset’s face, with big eyes and long ears, he is also a very delicate and sweet dog to have as a companion. His short legs are limiting his movement, but this makes him even funnier. It may be hard for some people to have one in care, but if you get the hang of it, it may turn out to be quite a successful partnership. Maybe one of the most popular breeds of hounds, the Basset has a long silhouette, a bit longer than some would think normal for such short legs, but this is what makes this dog a sort of a clown. He is a bit stubborn at times and prefers to fake being asleep when the master is calling him, even if he is very close. But such situations make the difference between a person who’d rather laugh at it, or to get angry. While the eyes are big, round and dark, the coats generally come in combinations of white, black and tan. Long, floppy ears are connected to the head bearing a wrinkled forehead. This dog weighing between twenty and thirty kilos is a moderate shedder, but it’s good if they can be brushed at least a couple of times per week. Their face needs to be carefully wiped and cleaned, from the wrinkles to the eyes and ears. This dog is very attached to the family he lives with and will never be happy if kept outdoors. The Basset is mostly a lazy dog, but sometimes he can just be in a mood of running, given his past as a hunting dog. Moderate tempered, the Basset is an excellent choice as a partner for children and other pets, although it’s always good to supervise their interactions. With very low to almost no risk of unwanted behavior, he will generously play with anyone, although he may fail if required to prove his obedience in an explicit manner. 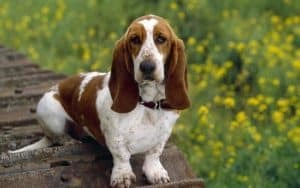 The design of the Basset’s body – long silhouette with shorter legs – is something that can lead to certain issues later on, especially that he enjoys eating. He may get a bit fat and can have back problems if jumping excessively from couches or chairs. He isn’t also very fond of stairs, sometimes being extremely difficult for this dog to use them, especially when he is older. -Pei, the Ori-Pei is considered a hybrid dog. The Ori-Peis’ coats come in two layers, also having an undercoat and can have multiple choices for a color, including brown, black, gray, white or any combination of these. What’s different about the Ori-Pei when compared to a Shar-Pei is the size, which is smaller. This is what makes them so loved and valued by a lot of people, along with the fact that they keep the same wrinkles as the Shar-Peis. When talking about hybrid dogs, or designer dogs, is good to note that there are two types of breeding which lead to the terms of first or second generations. 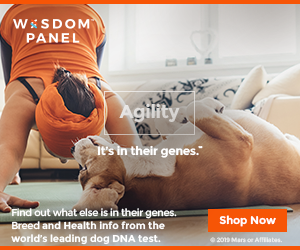 First generation dogs are the ones having as parents two purebred dogs, in this case purebred Pug and Shar-Pei, while second generation dogs have as parents the dogs in the first generation, in this case two Ori-Peis. This dog has already been bred for about six generations.